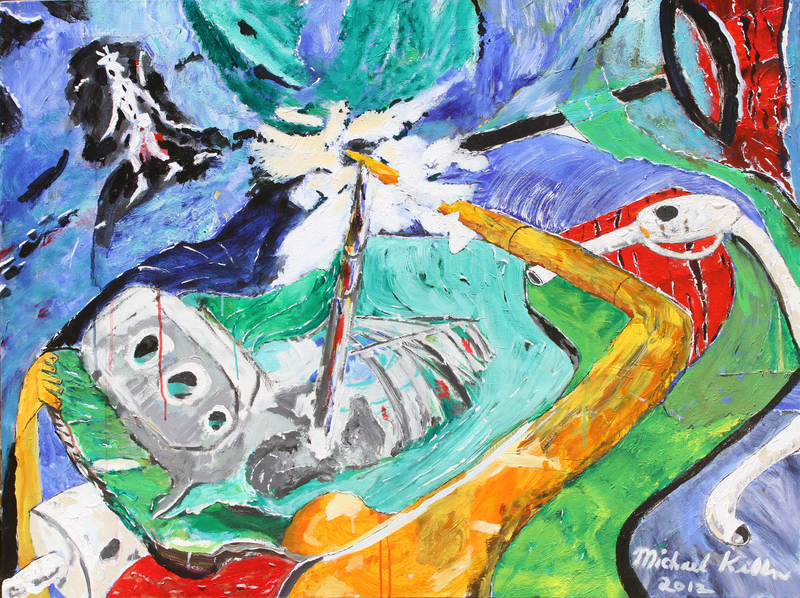 Michael Killen released the painting ‘Birth of Electric Car Engine -Beginning of the End of the Internal Combustion Engine Car.’ He decided to do that now to reflect thinking in California. For example Precourt Energy Efficiency Center at Stanford will host a debate on the future of internal combustion car in California June 25 at the Energy Summit 2015 Silicon Valley Energy Summit , and at Stanford University. Michael’s ‘Dire Consequences: Send in the Clowns’ series of paintings and film project will be at the Energy Summit 2015. He welcomes opportunity at that event to discuss that project at thee event.